The future for small businesses always comes down to how they will acquire and keep customers. Things will be vastly different in the next 20 years but a few changes that are already happening will become more mainstream in the next 2 years. The technologies, structures and platforms that will create these changes are complex but the changes they make will be simple. If we could boil the future of small business down to two words it would be virtual assistant. That’s right, a simple technology that has been in development for decades but due to the recent combination of machine learning algorithms and processing power is only just becoming a viable option for consumers. Let me paint that future picture for you. It’s quite simple. Imagine you’re shower head is leaking and you need to fix it. You haven’t got time to deal with it in the morning so on your lunch break you ask the virtual assistant on your phone to help you fix the problem. “How do I fix a leaking shower head?” The assistant will search whatever database it identifies as the most relevant to the query maybe Google, maybe Facbook, maybe Wikipedia. It will return content based results about how to do it DIY and then it will say “Would you like me to book a plumber for you?” If you say yes, the machine will choose the plumber it thinks is the best match (this may be a plumber paying for that position) or it may ask “Would you like me to read you the top results?” If you say yes it will read the top few listings and probably their number of online reviews. Maybe you will already have told it to choose the business with the best reviews. Either way the plumber you choose will be the one chosen by a virtual assistant. Already that happens to some degree when you use Google and their search algorithm decides what to display first, you of course normally pick from the top results. The difference with the future scenario is that the machine may not be Google, it may be a Facebook Assistant, An Amazon Alexa Assistant, Apple’s latest version of Siri or some other company that has developed the best assistant on the market. Once you’ve used the plumber your assistant make ask you to leave a review and then it will remember that particular plumber in the future. Thus businesses will be able to keep customers more easily but they will have to work harder to get new ones. How do we know this is what the the future will look like? Well there’s a few things that are lining up to make this a reality. 75% of searchers are now using mobile devices to look for things. This was only 50% about two years ago and the change is accelerating. Many people don’t even use a desktop computer anymore. 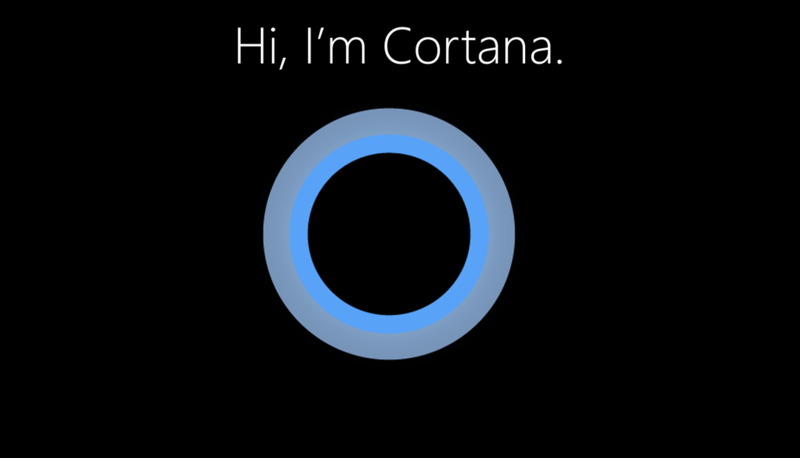 Personal assistants are being rapidly developed by all the big tech companies. You have probably seen an advertisement on TV, online or even in pint for a product like Google Home, Amazon Alexa, or most recently Apple’s Home pod. All of these products are based around giving people access to a personal virtual assistant. As the technology gets better that assistant will become more powerful and more compact, eventually they will be run exclusively through your mobile phone. These large technology companies know that if the customer uses their assistant then they will own the customer and what they do online because the assistant will control what information they see. This is a arms race that these companies cannot afford to lose because the winner controls the customer and the loser gets no business. The large technology companies are also focusing on speed. Google has rolled out its Accelerated Mobile Pages technology and their new speed update to their core search algorithm is coming in July. Facebook has its own accelerated pages technology and Apple is obsessed with speed on their devices through their end-to-end control of their devices and the app store. This speed fixation is largely because these companies are looking at improving mobile device usage and eventually creating an environment favourable to a virtual assistant. People don’t want to wait as their voice assistant um’s and ah’s about what to say so speed is crucial. There are significantly more mobile phones than people in Australia now. In 2015 there was already 30 million active mobile phone contracts for a population of just under 25 million. This number is only growing. While we’re not suggesting people need more than one phone we are suggesting they are becoming essential for most people’s everyday function, they are also becoming the most used tool people have. Everyone has their mobile phone on them at all times and they are using these devices more and more, many people are now stuck in a feedback loop that is making them feel good when they use the phone and thus they use it even more. People already trust online reviews and information as much as they trust their friends and family. People already trust and believe what they see online and this is just the precursor to trusting and believing a virtual assistant. Quite simply you will need to be chosen by the virtual assistant if you want to grow and keep your customers. So how will you do that? Well just like knowing how to come up in Google search results has been the ultimate technology question for small business in Australia over the last 10 years, you’ll now need to know how to come up when the assistant is searching for your type of business. Luckily we already know many of the things it will be looking for. Structured data: You will need to have all your data in a structured format that can easily be found and read by a virtual assistant. Chaotic pages will not be chosen. Speed: You need to have a website and it will need to be fast, this will probably be the most important feature. Assistants don’t want to look slow or stupid and so their search and decision making will have to be lightning fast. A fast website or listing is always going to win in their eyes. Reviews: Assistants will also be looking at reviews to choose between businesses. You will need good reviews and you will need quite a few of them. Consistency: The assistant will probably scan all the listings for your business to make sure that your details are accurate, you need to have consistent and accurate data to make sure you are chosen. Links: Google’s now famous Pagerank algorithm will continue to be the basis for many of these virtual assistant’s algorithms. The number of inbound links your site has the better your ranking. Multiple Listings & Accounts: A virtual assistant will pick a business that is using their companies software over another business. For example a Facebook assistant will choose a business with a Facebook page over one without. A Google assistant will chose one with a Google My Business listing over one without. Your business will need to be platform agnostic and have a listing and profile wherever there are potential customers. So now you can see the future. What are you going to do about it? You could dismiss this vision or disagree with it of course. But even if you don’t think this exact vision will come true you cannot deny that speed, data accuracy and consistency, reviews and multi-channel accounts are going to be vital for any small business in the next 10 years. If you believe our vision and you want to know how to get ready for what’s to come then there are a few paths available to you.